The Anderson family have lived in a delightful stone built house dating to 1878 for the past 9 years, situated in picturesque grounds next to a church within a conservation area. 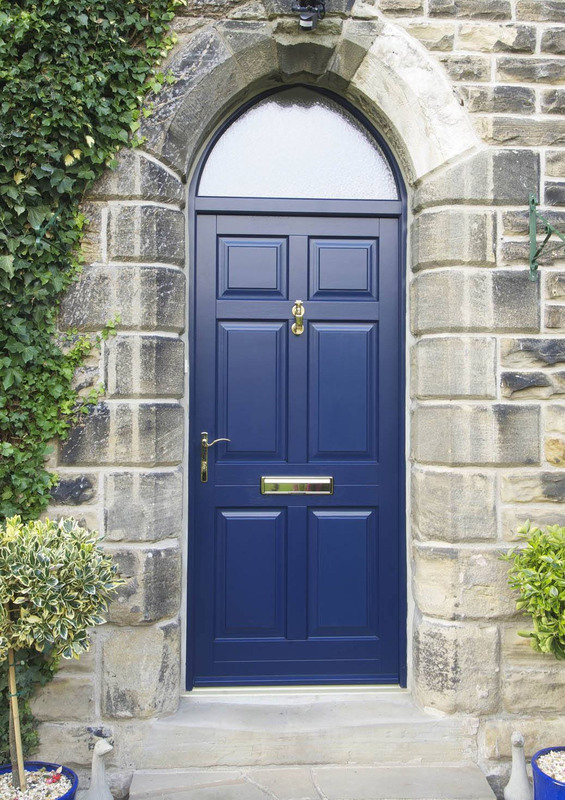 An Oxford Blue Chadlington solid timber door was selected along with the dual colour option to have a more subtle shade of Straw on the inside, with the light into the hallway still being provided by the pointed semi-circular top light through obscured Kathedral glass. A brass letter plate and Chatsworth handle along with a weighty doctor’s knocker together complete the look. 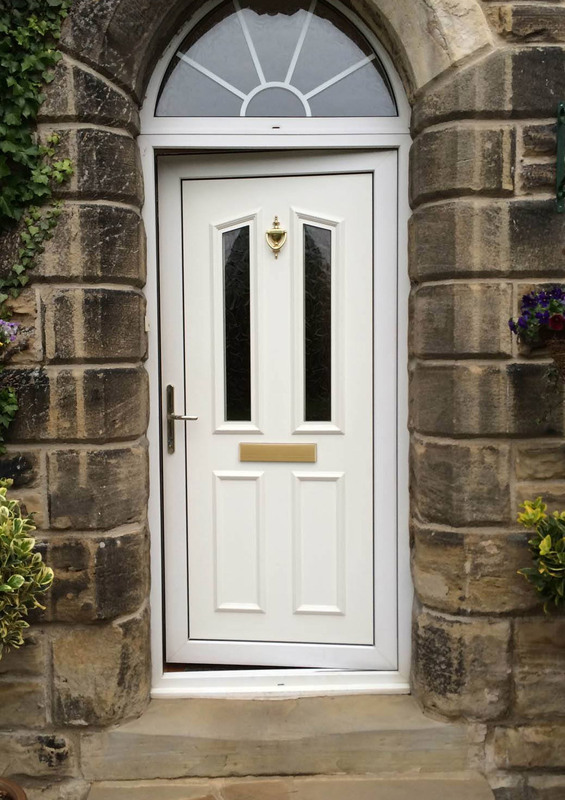 I really do appreciate the difference and that a door most definitely isn’t just a door – we love it – only when you make the change do you realise – I would recommend Timber Windows to anybody.